Manuela Bora, councillor with responsibility for EU policies in the Marche Region (IT - Covenant Coordinator), accompanied a delegation of 35 mayors from her region to Brussels: “Marche Region is ambassador of the Covenant of Mayors for Climate and Energy. Today we are in Brussels with many municipalities that have signed with great conviction this document, which commits them to implement projects that have a positive impact on the climate”. 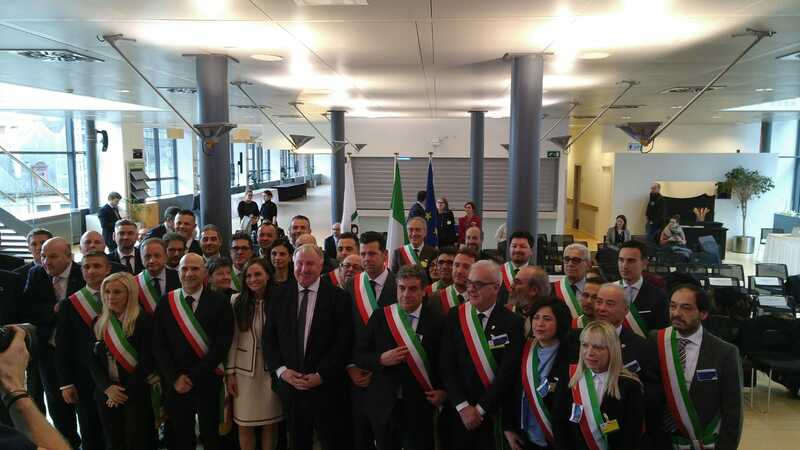 "Bringing here 35 mayors of the Marche region means a push from below and it shows the strong belief of local authorities in the strength of Europe," said the Mayor of the Covenant city Senigallia (IT) and president of Anci Marche Maurizio Mangialardi. The Mayors attended the plenary session of the European Committee of the Regions (CoR) and met the President of the EU Parliament Antonio Tajani. They took part in an event dedicated to the Covenant of Mayors about regional best practices and financing opportunities towards 2030 objectives.